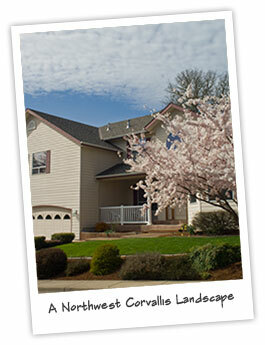 Like most of his staff, Dave grew up here in Corvallis, Oregon. And as most kids he grew up doing yard work at home…and hated it. After high school he ended up working on a grass seed farm near Shedd, Oregon. He spent 10 years working for the Pugh Family grass seed farm. Dave credits much of his current success to lessons learned in character and skill building while “on the farm”. The company was officially started in 2002 as Straub Landscape Maintenance. With a pickup, trailer and a handful of equipment he set out mowing lawns and whatever else people needed done. His wife (a school teacher) worked with him that first summer. After experiencing some of the bumps of the industry for a year or so, Dave decided to go back to school and get a degree in Horticulture. While in school, he hired his first employee so he could keep the fledgling company going. In 2007, Dave changed the organization of the company to an Limited Liability Company (LLC). In 2008, Dave moved out of a spare bedroom at his house into an office building. Dave now has his oldest daughter, Ashley, running the office. How did he ever do it in a home office by himself? In the field, Dave has a construction crew and a maintenance crew. During the summer months the addition of seasonal employees is helping Straub Landscape to meet the demands of it’s customer base. This company would not exist if it were not for my loyal customers, both current and future. And I would not be where I am today without the patience and support of my family especially my wife, Alicia.